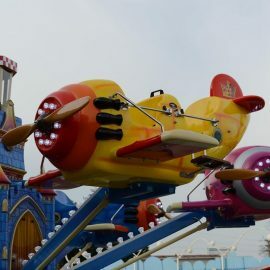 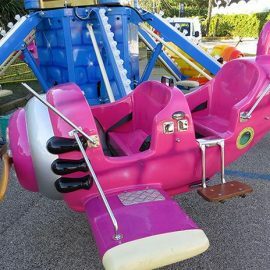 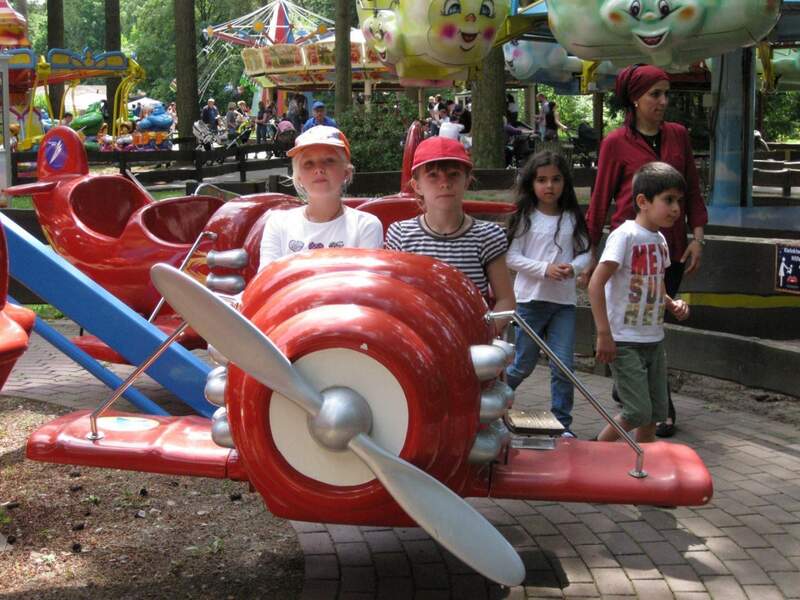 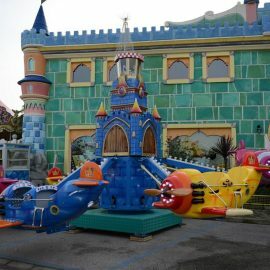 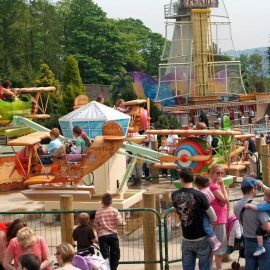 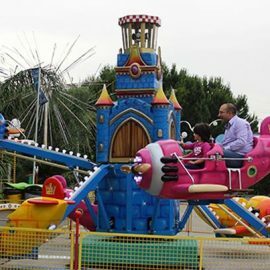 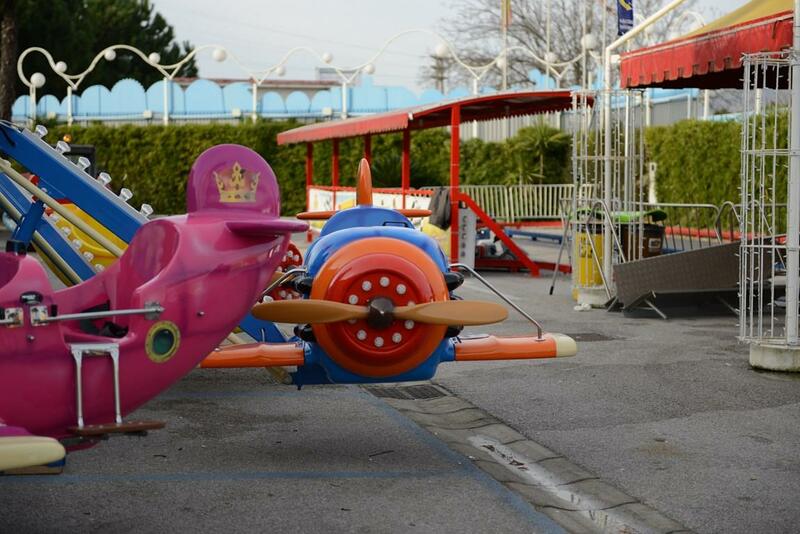 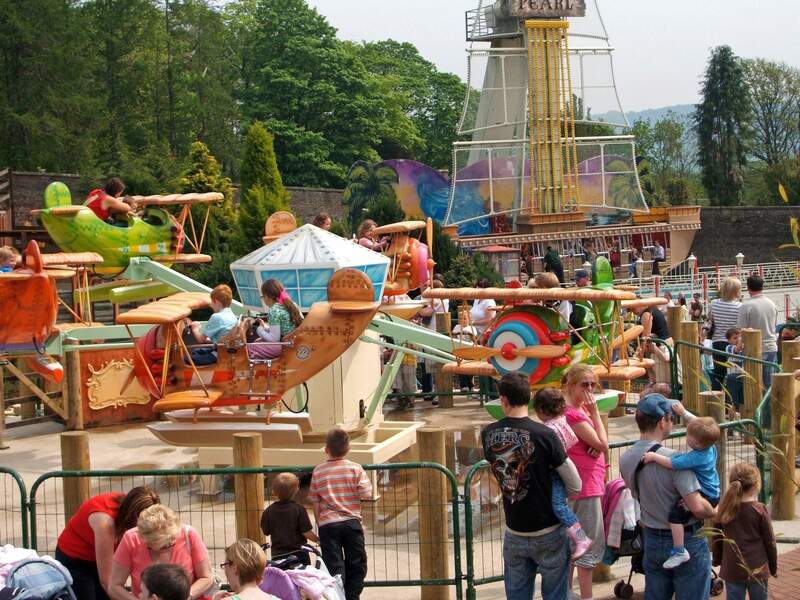 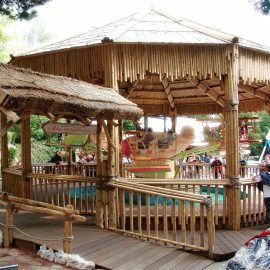 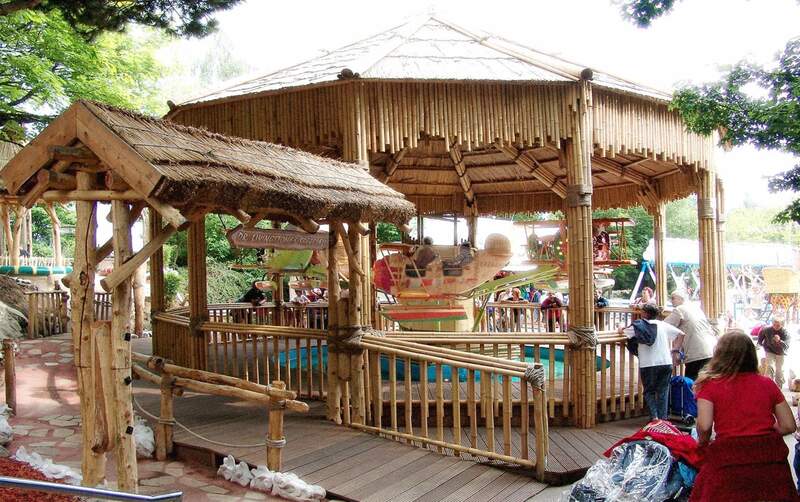 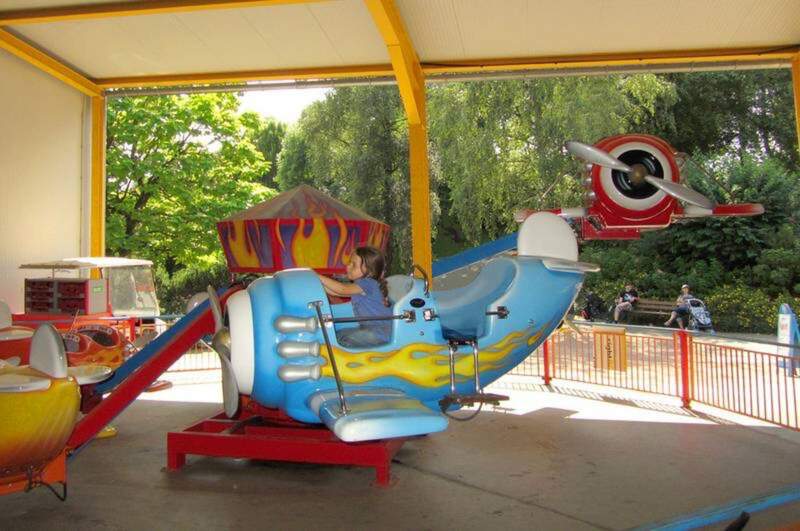 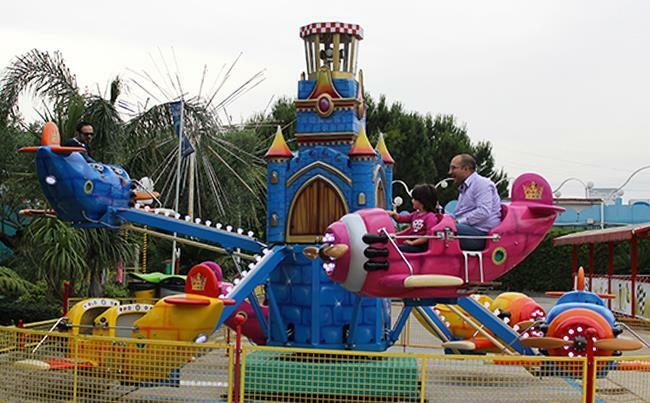 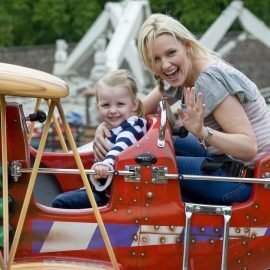 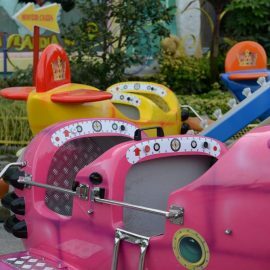 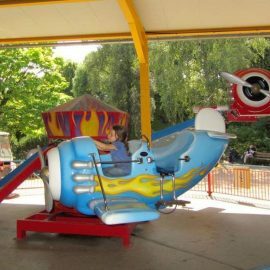 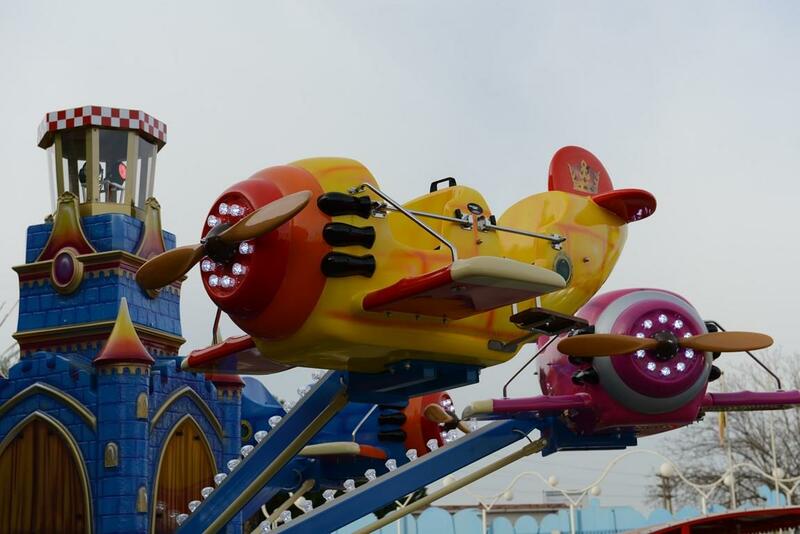 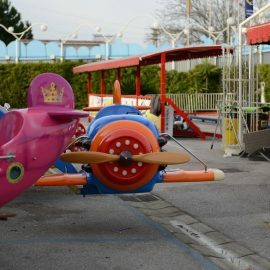 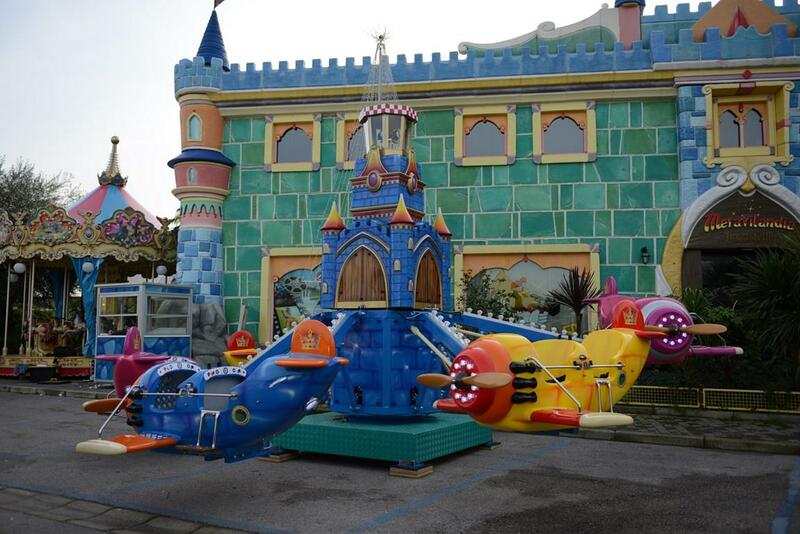 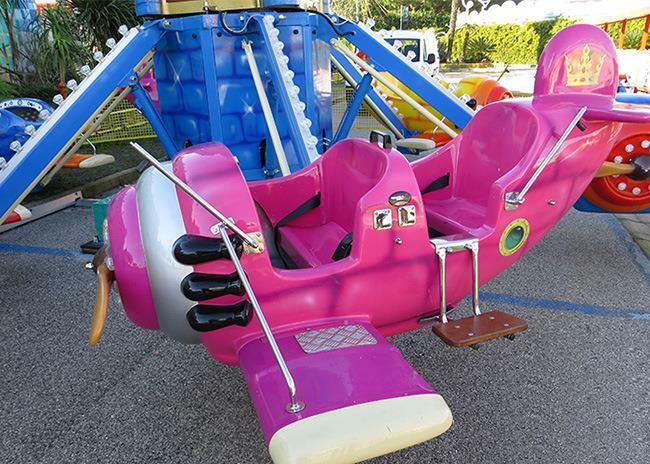 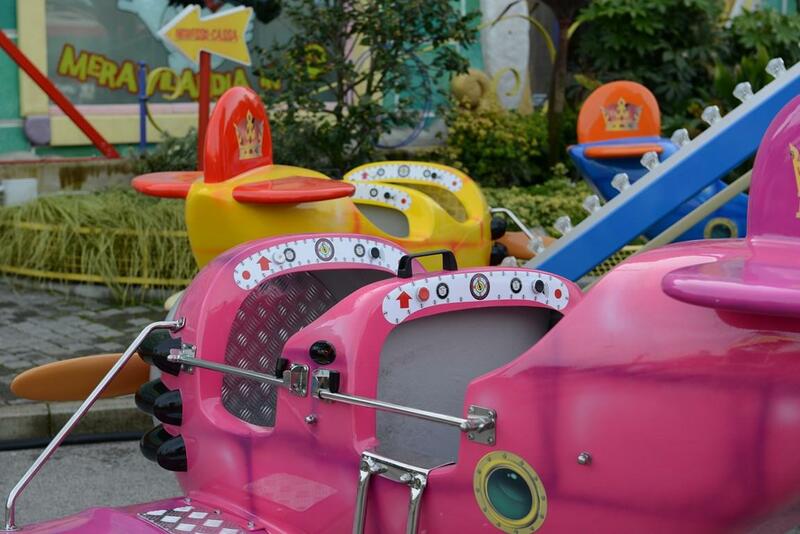 This funny little attraction consists of a base carrying a decorative centre that supports the biplane-shaped vehicles. 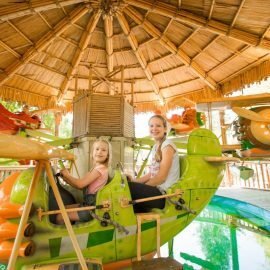 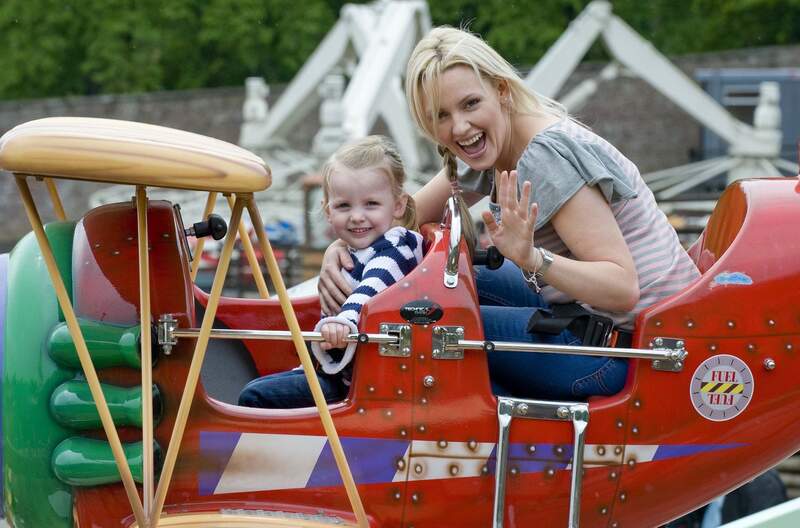 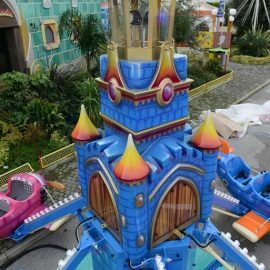 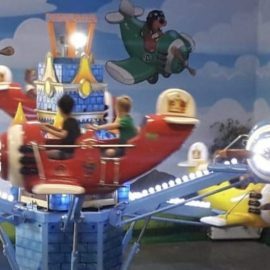 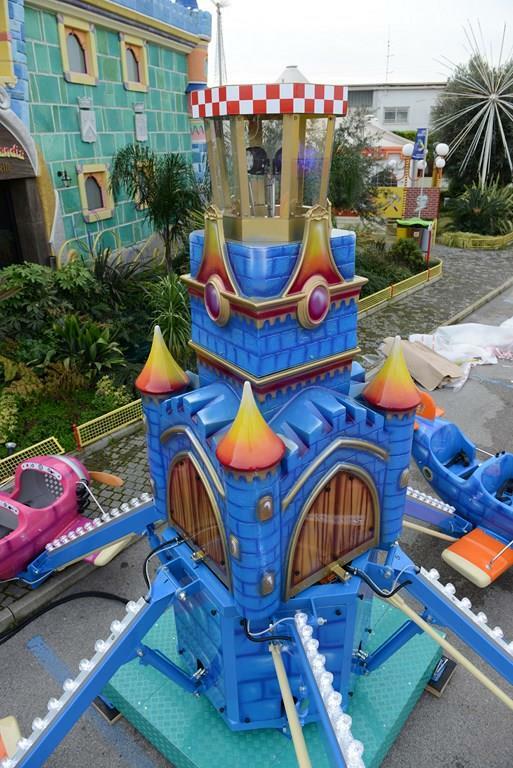 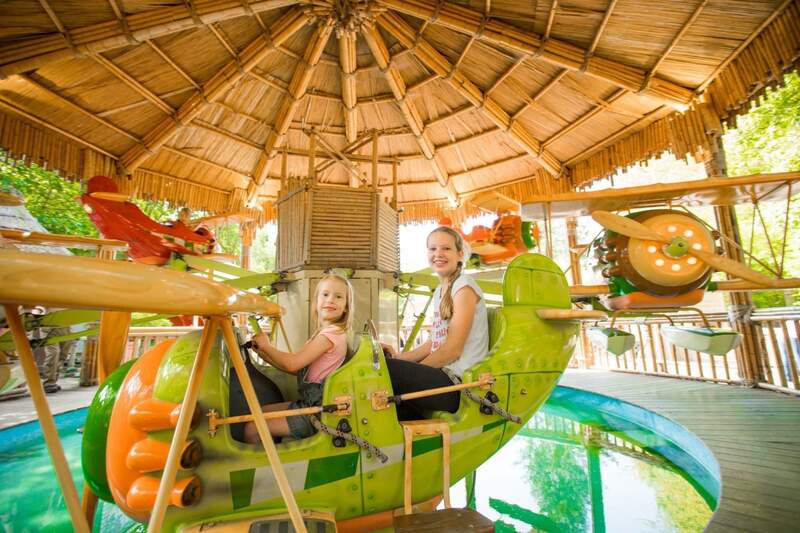 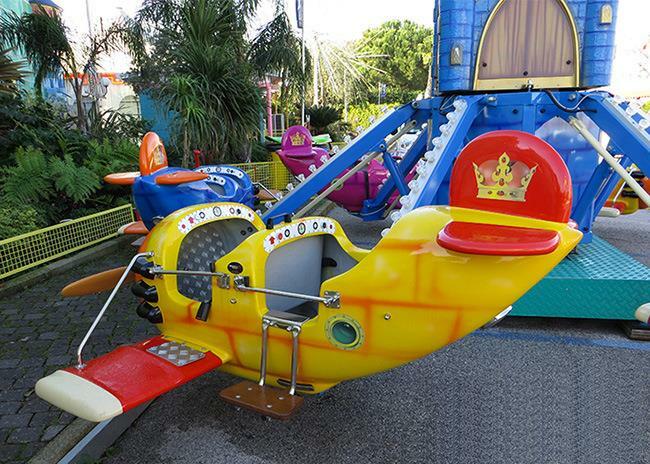 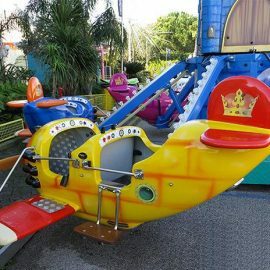 The ride rotates either in a clockwise and counter-clockwise direction. 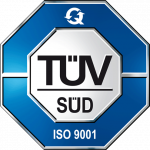 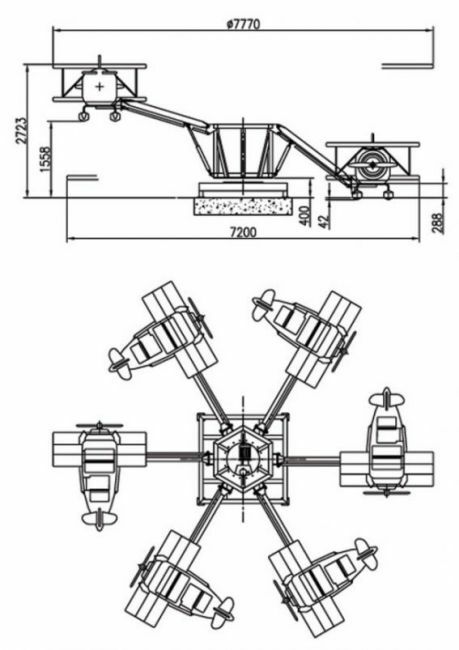 Each vehicle loads two passengers and raises about 2 m. from the ground. 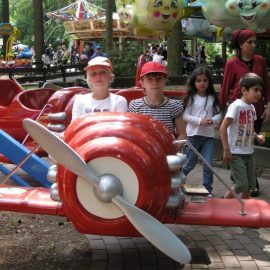 Mini Red Baron is available in a new, more modern and coloured version and its biplanes can be replaced with horses.